Danse Macabre – Pat Kofahl Photography - Together, We Make Memories! With sincere apologies to Camille St.-Saëns. A street festival in the walled city Lucca, Italy, the birthplace of Giacomo Puccini. 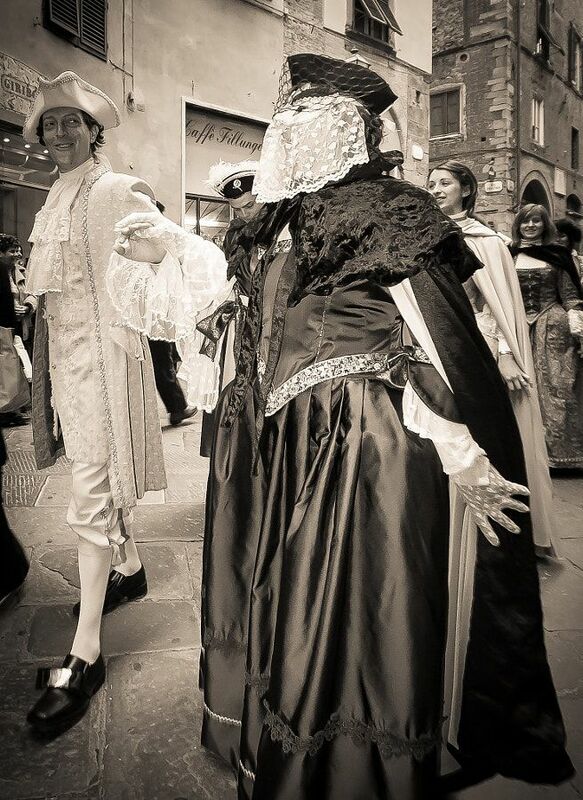 Many of the townspeople appeared in spectacular Renaissance costumes. The pageantry was amazing, replete with marching bands in period costumes, strolling troubadours, jugglers, musicians, and a very appreciative crowd of hundreds of onlookers, of which I was but one.This fine art image by Pat Kofahl is available in multiple sizes on paper, canvas, metal and plexiglass. Prices start at $49.00!